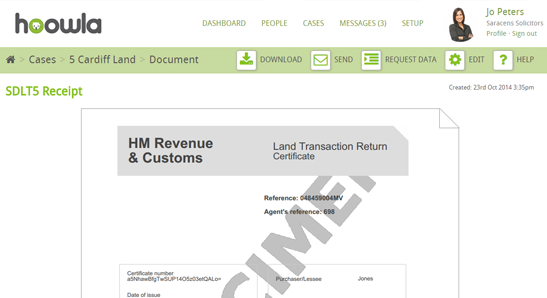 We’ve launched online Stamp Duty submissions in Hoowla, the quickest and easiest way to submit SDLT to HMRC. Effortlessly produce a complete SDLT returns, all part of one seamless experience tightly integrated with your case and workflow. That’s Post completion perfection. No one likes duplicating data. We save you time by automatically inserting case details into your SDLT form cutting out data duplication for even quicker completion. 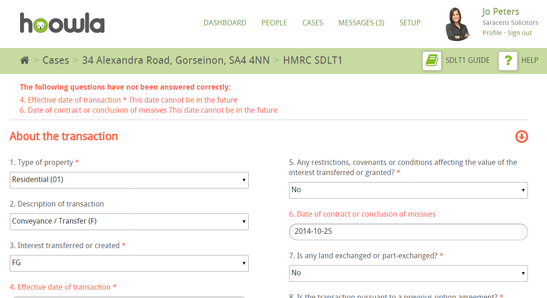 Your SDLT form saves as you go so if you need to finish it later you can. 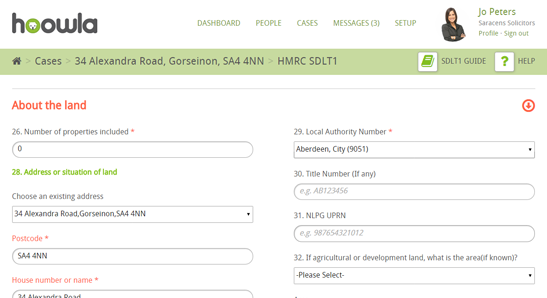 Copies of the form are automatically saved to your case history. Failed forms are a thing of the past. Our instant form validation removes those SDLT form rejections for you by checking for errors and missing data and highlighting problems for you to fix. 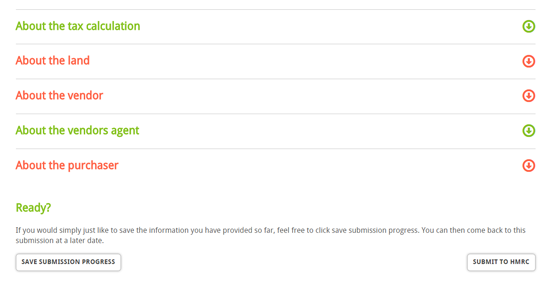 Once submitted your SDLT 5 certificate receipt is returned instantly and saved automatically to your case in seconds. All you need to do is submit and we will take care of the rest. We’ll let you know if it was successful and if not we will keep trying for you until it is so you can get on with the rest of your day.